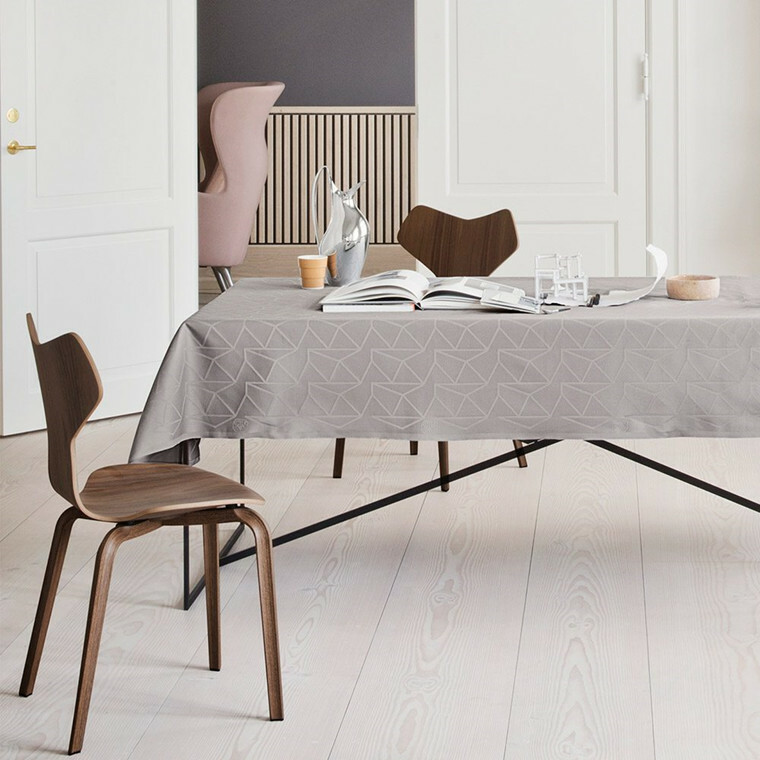 The classic damask tablecloth in a timeless Arne Jacobsen design has received a surface treatment that makes it perfect for everyday use. 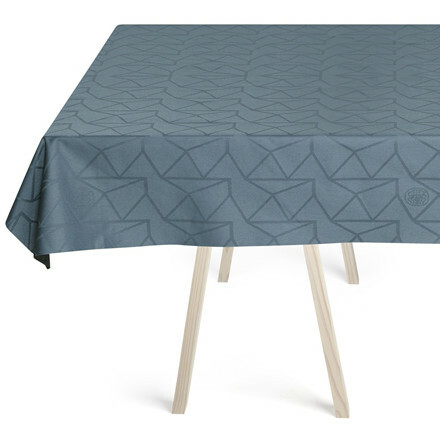 The tablecloth has the same qualities as an oilcloth while the elegance of the twill stands out. 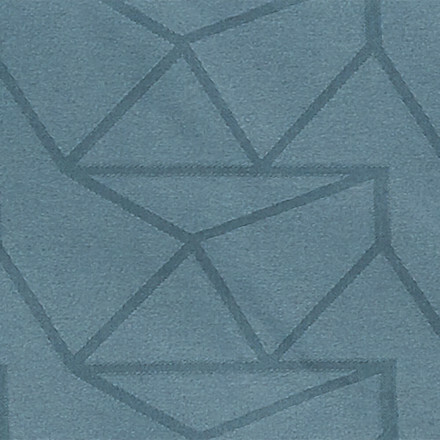 The pattern has been selected among the sketches left behind by the iconic architect and it creates a beautiful symmetry and stylish expression in daily life. The design was launched in 2002 as a tribute to the Danish architect to mark the centenary of his birth and serves to continue the design legacy of Arne Jacobsen in all its elegance and simplicity. 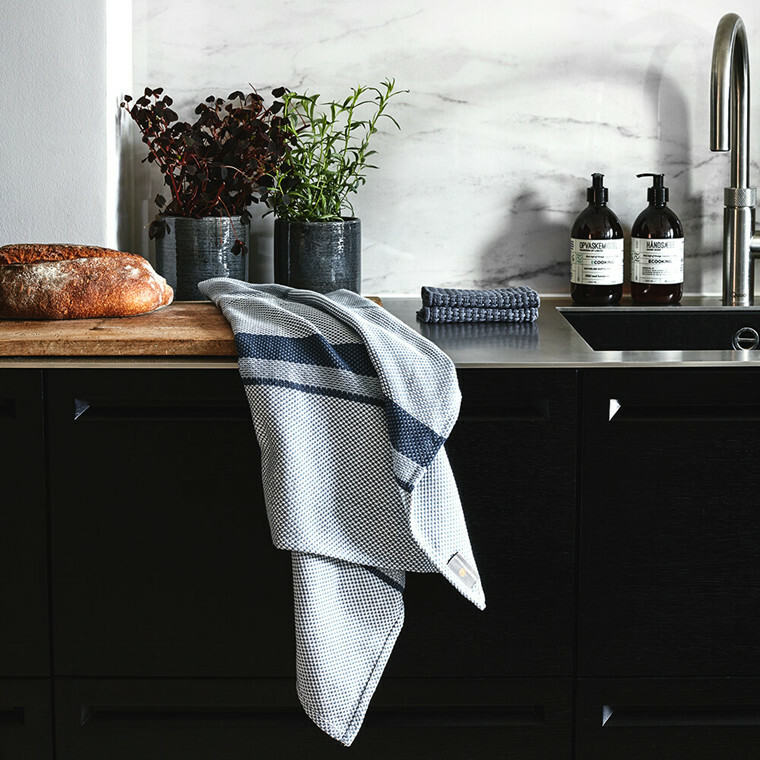 The Arne Jacobsen design collection has been carefully chosen in collaboration with his grandson, Tobias Jacobsen, who has also designed textiles for our collection. 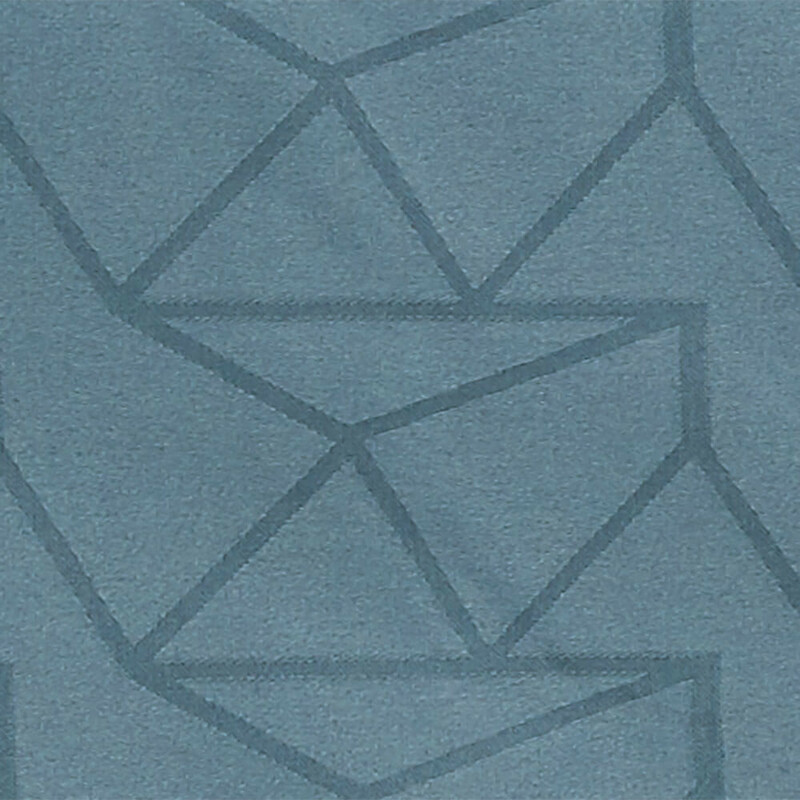 In the Dusty Blue colour, the coated tablecloth acquires a soft Scandinavian expression. Elegant everyday luxury that gives the table a nice appearance. 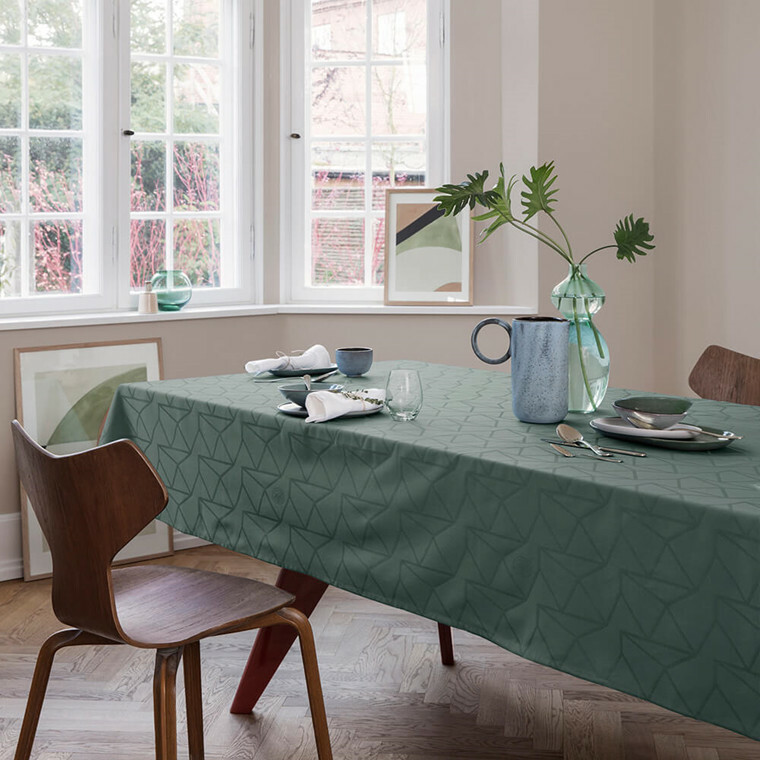 The ARNE JACOBSEN design is also available as tablecloth without coating as well as table runner, placemat and tea towel. The tablecloth is damask woven in 100% cotton, and it is coated with acrylic on the front side. This gives the tablecloth the same quality as an oilcloth. 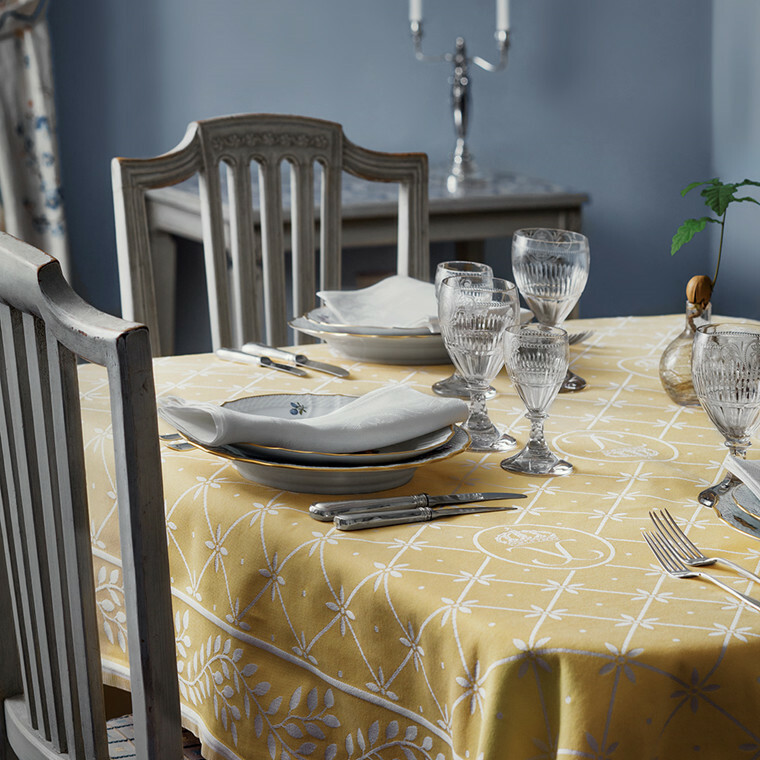 The tablecloth must be washed at 30 °C, and you should use washing powder for coloured textiles without bleaching agent. Use delicate cycle and gentle spin because it gives fewer creases. Let the tablecloth hang dry; preferably over a wide drying rack or a pole to avoid creases in the tablecloth. 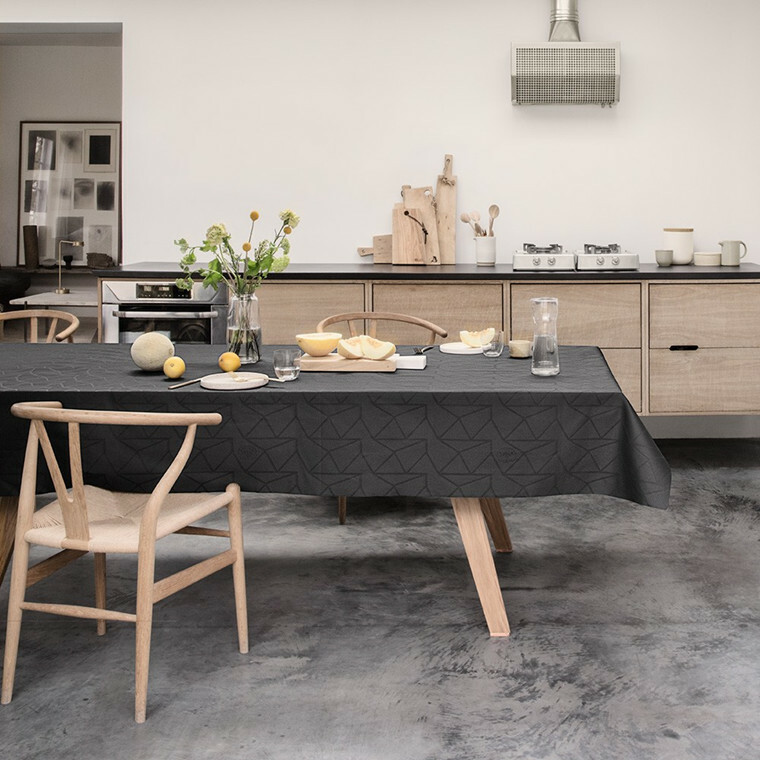 If you have a table, which can stand dampness, you can put the tablecloth directly on the table after wash.
You can iron the tablecloth on the backside, with or without damp, at low temperature. 150 °C or 2 dots is adequate. Iron the tablecloth while still damp. The tablecloth cannot withstand rotary ironer.